It's Red Colored carry bag. It has 13"14" inch size. 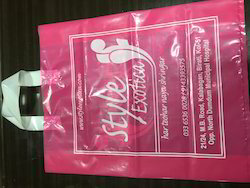 In order to meet excellent quality standards, we are supplying Loop Handle Shopping Bag. Color: Red, Yellow, Green, etc. 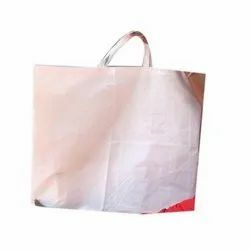 We are among the pre-eminent names of the business that involves in manufacturing, trading, exporting and supplying Printed Plastic Carry Bags. The proposed assortment is manufactured in compliance with the predefined industry standards at our vendor’s place. We make use of optimum plastic material for the production process. Available Sizes: 12" x 16",14" x 18",16" x 16",16" x 20"